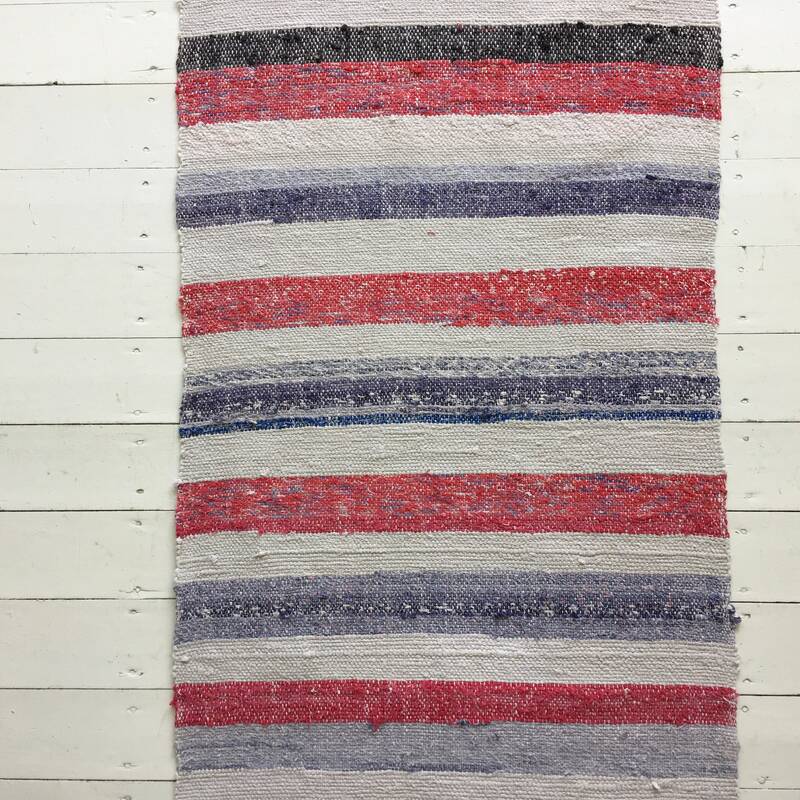 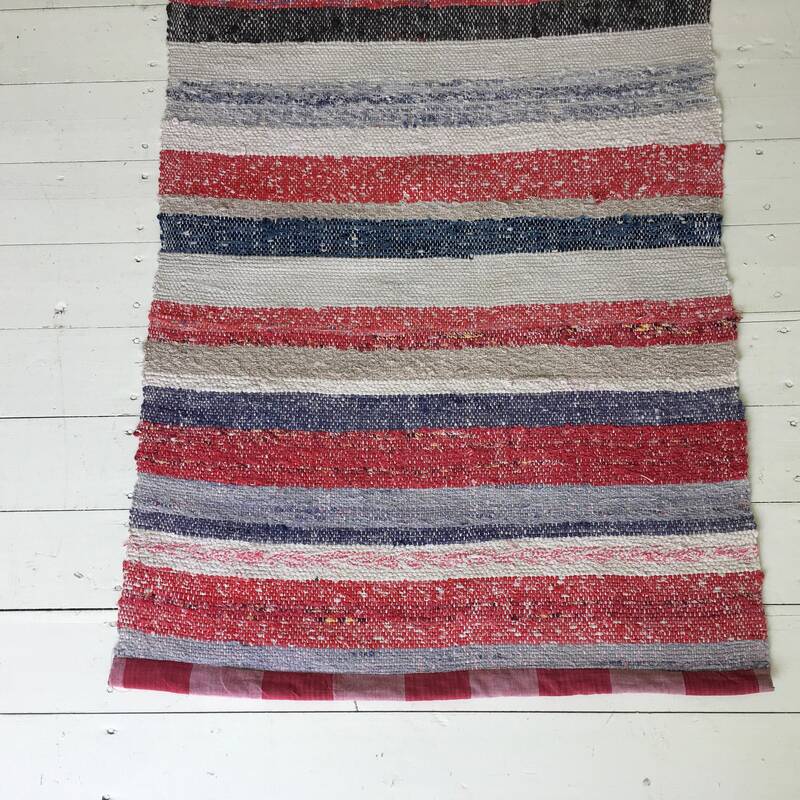 Vintage and antique Swedish rag rugs are from rural Sweden and come in a variety of colour schemes and patterns the most common being 'rosengang' rosepath, 'tuskaft' plain weave and 'kyupert' twill . 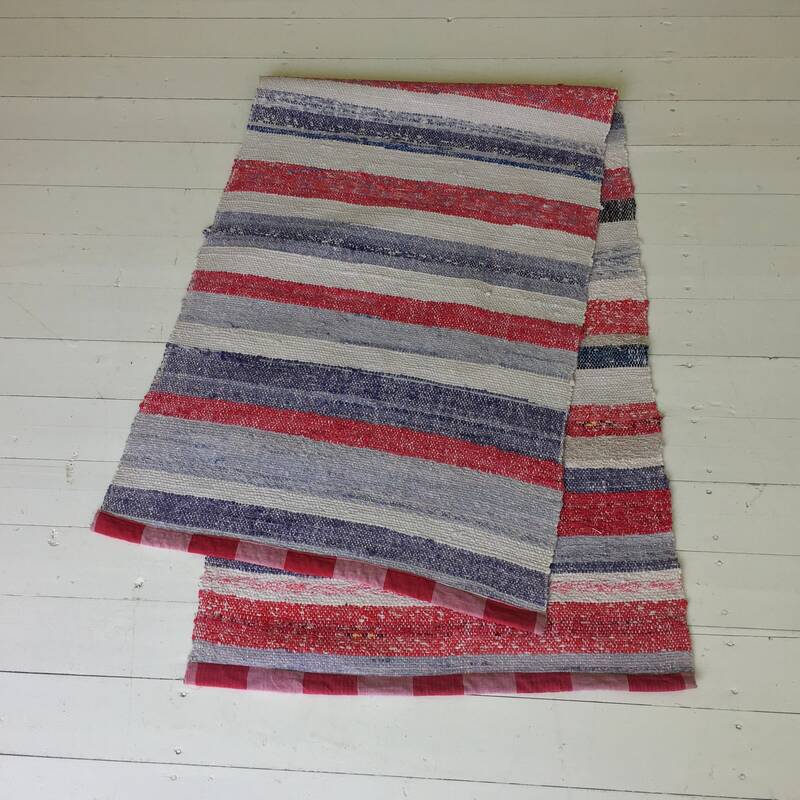 They are woven on traditional floor looms and each one is unique, made using recycled vintage clothes, look closely at the stripes and you will see individual patterns of the fabric they are made up of. 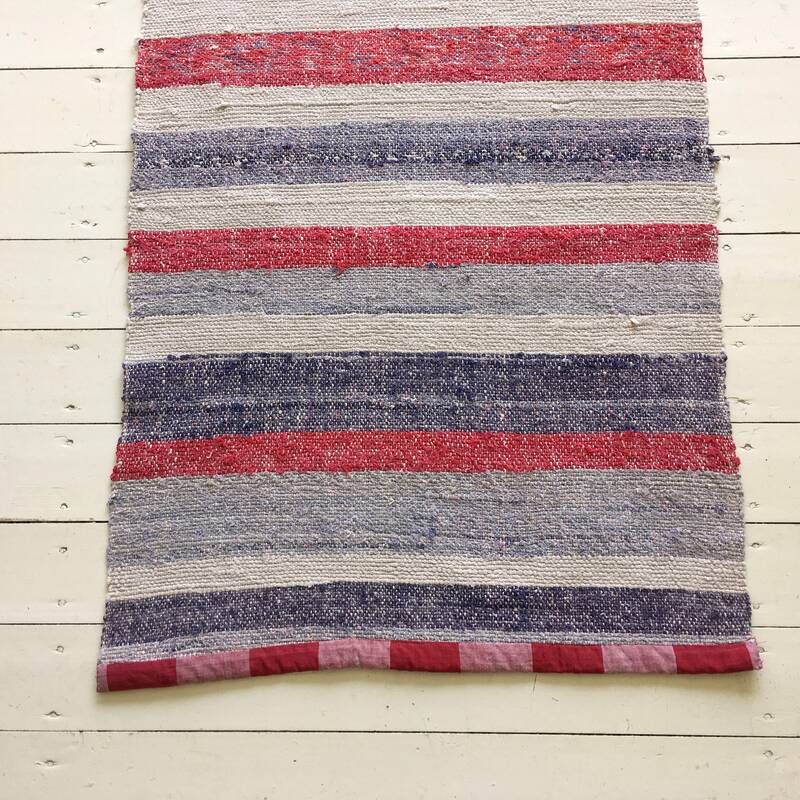 Beautiful stripes of pale blue, red,cream and pink stripes throughout. 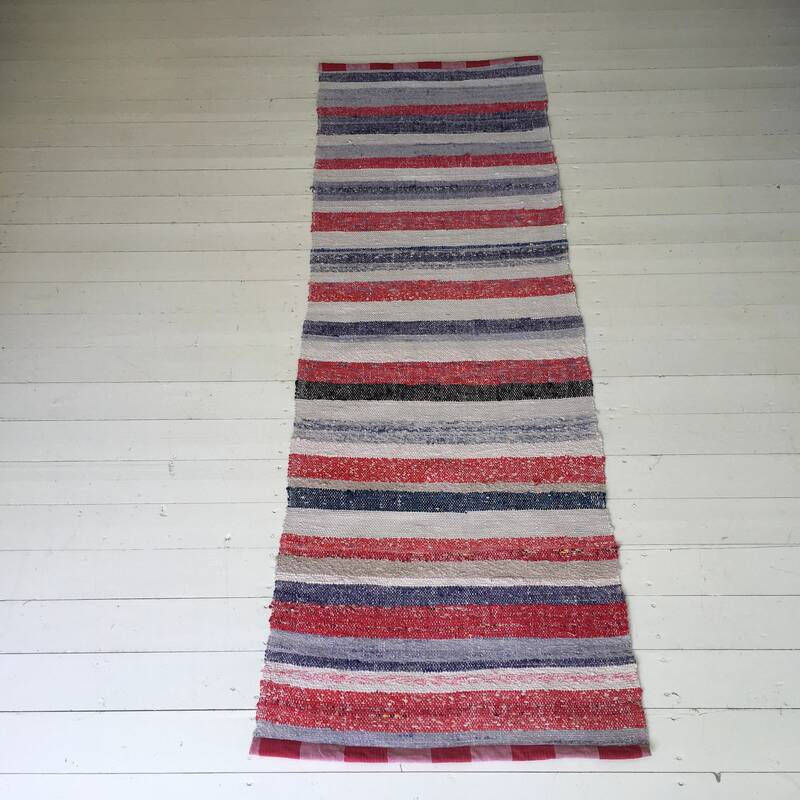 Size- 170 x 56cms / 67 x 22 inches.